Empowered Mommy, Joys of Life and their blogging friends have decided to bring you a fabulous giveaway. 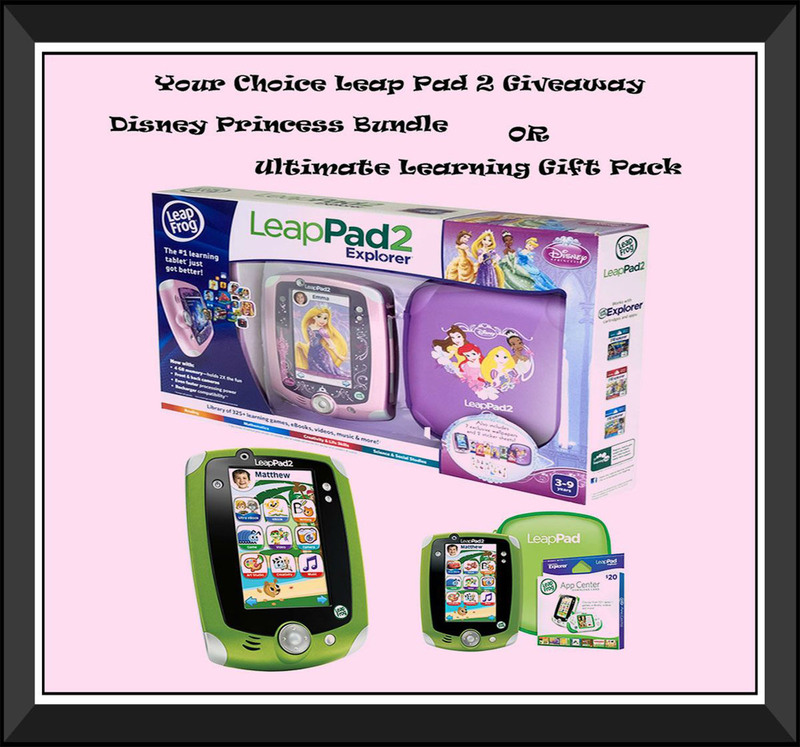 We are giving away Leapfrog Leap Pad 2 winner’s choice. Choose from Disney Princess Bundle or Ultimate Learning Gift Pack! We are looking for 100 bloggers to sign up, no doubt it will be a hit giveaway if you have children, grand-kids niece/nephews or baby siblings. - Participation is free with announcement post or $5 without announcement post. - Get 1 free link (Facebook, Twitter or Pinterest) on Rafflecopter if you agree to help and promote the giveaway. - Host pages, secret word, comments to your blog post available for $11 each. Grab your places now and get those Alexa number down! Limited places – first come first serve basis! - Co-host spots available for $20 – get a link back to your blog on each giveaway post as well as 3 free additional links.